Since we don't own a car, nowadays we bike & walk most places, & just occasionally take transit. I took the bus a lot when each of the kids were too little to go on the bikes, however, so I consider myself a bit of an expert. I sometimes wear the baby when I'm taking transit, but because I'm often carrying shopping & my hip issues make it uncomfortable to walk, I've usually used the stroller. Unfortunately, there seems to be a lot of confusion out there about strollers on buses. Drivers seem to have different guidelines about how many strollers are allowed & other passengers are often quick to pass judgement on the size of your baby carriage or grumble that strollers weren't allowed on buses when they had their kids. In general though, taking a stroller on transit is pretty easy & it sure beats finding parking & wrestling two kids in & out of carseats. There's always an elderly person who I assume to be a grandparent making funny faces at the baby & someone else chatting up the four-year-old. You just don't get this kind of human interaction with a variety of people when you drive. Leave early--if the route is particularly busy & you get passed up by a bus, having a little extra time will mean you won't be stressed about waiting for the next bus. Park your stroller, brakes on, at the front of the bus with your child facing the back of the bus. This is safest if the driver has to make a sudden stop. Try to travel in off-peak hours. If you can't or the routes are always busy, taking a small, easily folded umbrella stroller means you'll be able to get on that bus instead of waiting for the next one or two. Tell your driver well ahead of the stop that you're getting off with a stroller. They'll be able to pull up closer to the curb, "kneel" the bus, & keep the incoming passengers back from the front door while you exit. If your stroller has smaller wheels, it's probably best to back out of the bus. If you've got larger rear wheels with pivoting front wheels, it's easier to go out forward. Check Translink's website for service alerts or delays before you go. Things like elevator closures or route detours could throw your plans off if you don't know about them in advance. Speaking of service alerts: Metrotown Station elevator will be closed for a year. as of February 26, 2015, while the station is undergoing a huge renovation. If you're heading to Metrotown on transit with your stroller, your best bet is to take the bus instead of the train, or get off at Patterson or Royal Oak & take the community shuttle that runs every 15-20 minutes. For more details, visit the Buzzer blog. 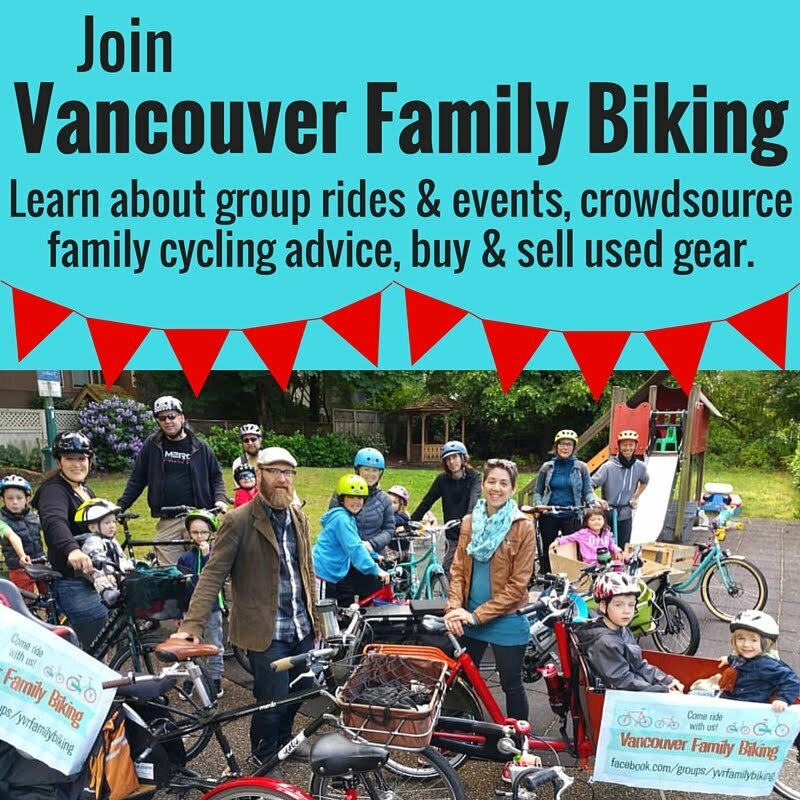 Got any tips to share on taking transit with wee ones? Let me know in the comments! I like to wear the baby and carry the gear in a rolling suitcase. 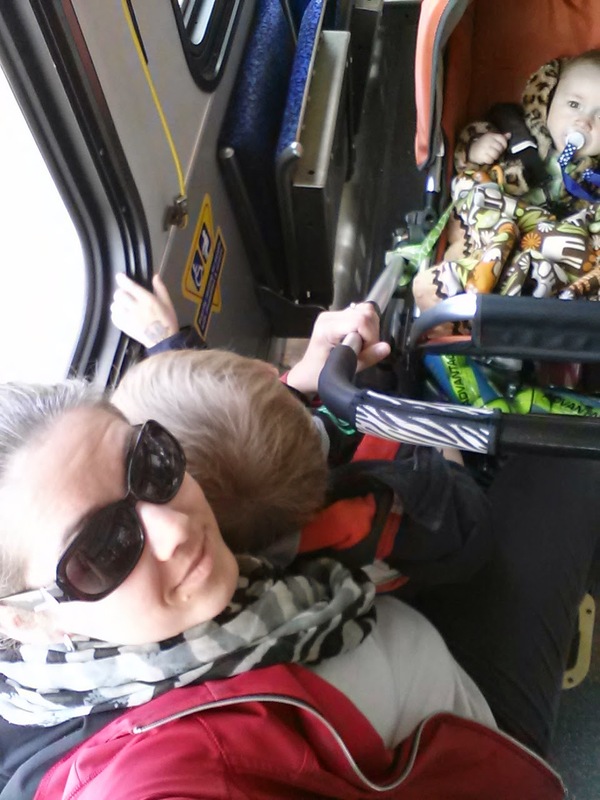 Our buses (Seattle area) don't allow strollers, and a suitcase is easier to get up and down the bus steps. Plus, I'd rather snuggle my baby than my bag :) That said, with twins it sure would be nice if I could use a stroller on the bus! Not allowing strollers just seems like a great way to convince families to drive. Crazy! Babywearing is definitely a great option if you can do it, but with twins, as you said, or even just two little kids of different ages, it's hard not having a stroller to carry them & all the stuff that goes along with them. As you know, we use the stroller on Transit almost every day, and we don't have a lot of trouble. That has a lot to do with the times we travel and where we live. Tycho knows the whole routine of finding a seat and where Kepler can park, and he even likes to yell "Stroller getting off here!" when we are approaching our stops. I have had a few nasty bus drivers and cranky passengers, but that is the exception. Having said that, I always avoided using the Metrotown elevator when it was working. I hope that after the year is over, the new elevator will be 5 times larger and relocated somewhere nearer to the mall.